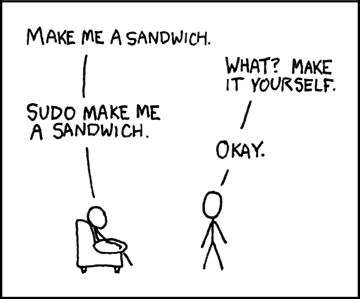 Sudo is command to alter user privilege, sudo shall given to trusted user only. In ubuntu first user have this right. To use sudo user need to insert their password. All the sudo rule written on sudoers file. Here is the default content of ubuntu sudoers file. NOPASSWD mean user doesn't need any password to call specified command. Here is customized sudoers file for illustration. Fom the example above, user usm have access to USM alias command as a root user without password. I still find the source. i got this from somewhere forgotten place.